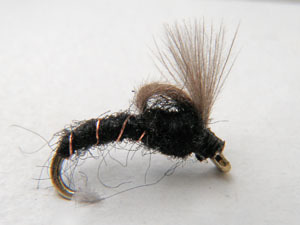 These midges are the best quality flies that you can find worldwide. Try them in the Swiss creeks and lakes- success is guaranteed. 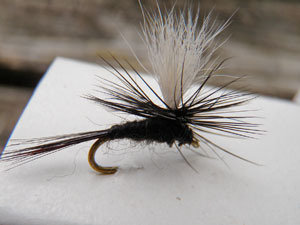 Black Parachute- well visible through it's white wings made of calf tail- best for the Swiss mountain creeks and lakes. 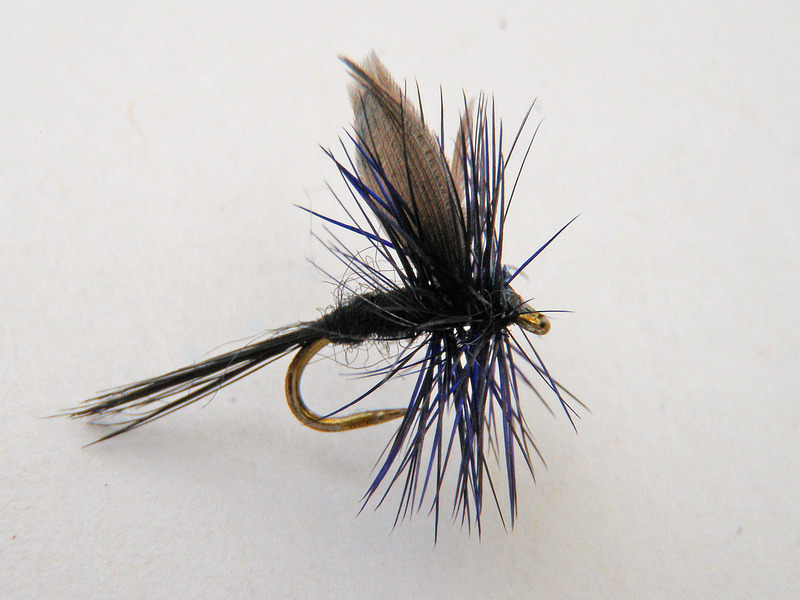 Simply the best fly in Swiss mountain lakes, when the fish become difficult to take.